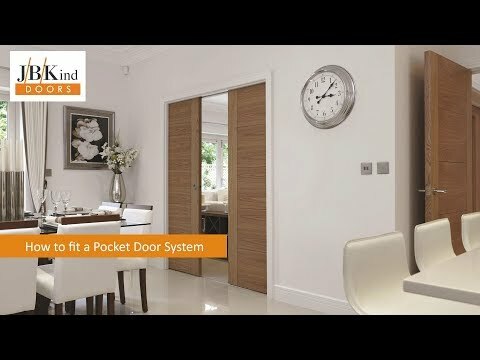 Pocket Door Systems are becoming the means to a more optimised doorway, reclaiming the space you'd keep exclusively for the door to swing and making it easier to move things in and out of the doorway by gaining that extra wriggle room. By using a Pocket Door you could introduce the perfect upgrade your home needs to feel bigger. Space is a commodity we work hard for, so it makes sense that we use that space as optimally as possible. Our Cavity Door Systems allow you to easily hide the door within your walls when they're not needed so you can reclaim as much space as possible, they come in a variety of designs so you can find the ideal configuration for you. A Pocket Door System will generally meet one specific need, to ensure we have something to cover all standard needs there is options for Single Doors, Double Doors and Fire Doors. On top of this most of these are available in a frame-less design so you can create a very minimalistic modern look and still have all the uses of the Cavity Door System. All the Pocket Doors we offer can support 35mm or 44mm thick Doors so you can be completely in control of what style will be used with the Cavity Door System. Almost our entire catalogue comes in 35mm and 44mm sizes so you have an exceptional volume of styles to explore!